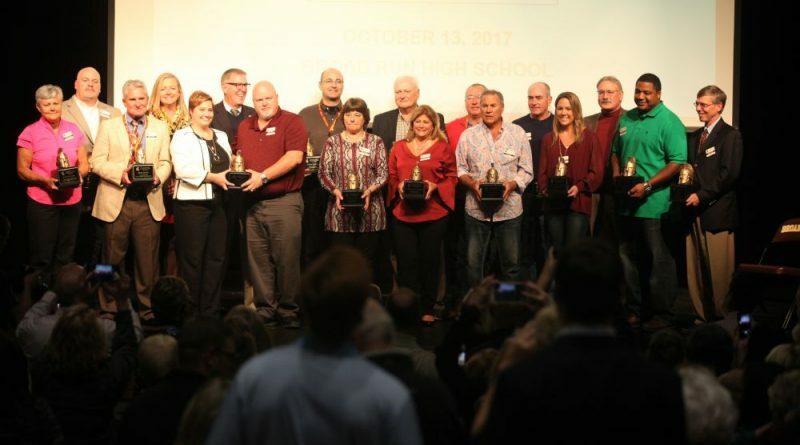 Broad Run High School held its inaugural Athletic Hall of Fame induction on Friday, honoring 16 students and coaches and one business for making their mark on the school’s athletic program. Broad Run High School open in 1969 as Loudoun County’s third high school, and for many of its 48 years, it was considered an athletic powerhouse. 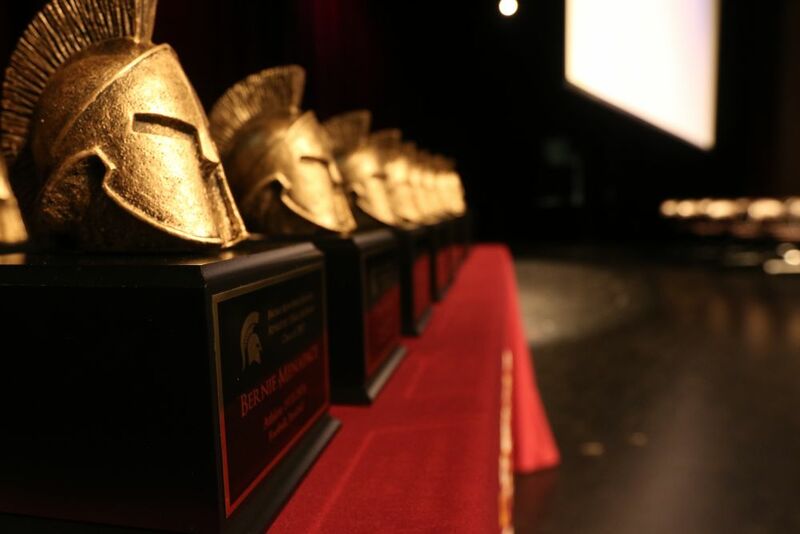 School leaders, parents and alumni saw the Hall of Fame as a chance to celebrate the student athletes, coaches and supporters who made it so. Bernie Menapace, class of 1974, is a three-sport letterman who was drafted by the Baltimore Orioles in 1974. He attended the University of North Carolina on full football and baseball scholarships. He later coached at Wake Forest University and Hampden-Sydney College. Tina Israel, also from class of 1974, won varsity letters for four years in basketball and softball. She went on to play basketball and softball at Radford University and play three years of semi-pro softball. Tim Quinn, also from class of 1974, was a two-time all-district football player. He also lettered four times in track, and went on to letter four years playing football for the University of Virginia. Al Anch, also from class of 1974, was a four-year letter winner for Broad Run baseball. He went on to Coastal Carolina University as a scholarship athlete, and he played one year as a professional in the Carolina A League. He’s also coached youth baseball and softball. Steve Dye, class of 1975, was a member of the school’s first state champion team, the 1973 cross country team. He was also Broad Run’s first all-American and ranked four times nationally in the mile, twice in the indoor mile and twice in the outdoor mile. He lettered all four years in cross country and track. He went on to run track and cross country for the College of William and Mary, where he was an All-Southern Conference athlete. Kathy Anch Harris, class of 1976, was a state champion in floor and vault, and she lettered all four years in gymnastics and softball. She attended West Virginia University as a gymnast scholar. Kathy Malloy Boozer, class of 1980, scored more than 1,000 points during her high school basketball career. She also was a key contributor to the school’s softball, tennis and gymnastics teams. She went on to play basketball on a scholarship for University of Delaware. Teddy Lewis, 1981, was the first basketball player to score more than 1,000 points. He was captain of the team for two years, named all-district in football twice and three times in basketball. He went on to Virginia Tech, where he studied engineering. Randy Cockrell, class of 1985, was a four-year varsity athlete in football and track. He went on to play football at Virginia Tech, and was later signed as a free agent with the Miami Dolphins. Jason Lansdown, 1992, still holds the school’s overall basketball scoring record of 2,346. He was a four-year varsity athlete in basketball and track. He went on to play professional basketball overseas. Christy Anch Ragan, class of 2002, played softball for Broad Run, recording 1,394 strikeouts on her way to all-district region and state honors. She went on to play as a scholarship athlete at the University of Tennessee. Ronnie Pyles was Broad Run’s first head football coach, a post he took after teaching and coaching at Loudoun County High School. Many players went on to successful college careers under his tenure. 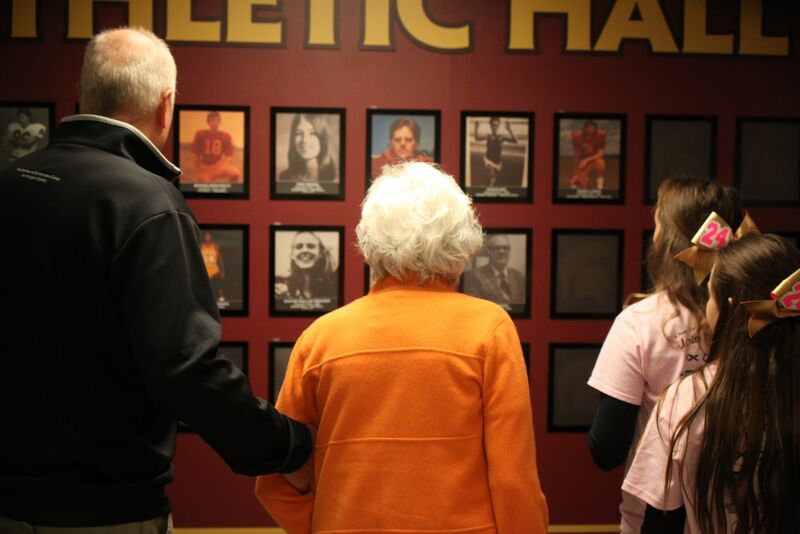 Karen Baker was the county’s first female athletic director. Before she took that post, she served as Broad Run’s first coach of the girls’ softball team and later as its girls’ basketball coach. Jim Hartung served as Broad Run’s head cross country and track coach from 1970 to 1975. He coached the school’s first state championship team, the 1973 cross country team. Jerry Smith coached four sports at Broad Run: football, wrestling, track and golf. He was at the reins of the football program for 22 years and earned district coach of the year honors five times. James McBride was Broad Run’s first principal; he led the school for 10 years and served as an educator in Loudoun for 31 years. Meadows Farms Nurseries and Landscaping has been a consistent supporter and sponsor of Broad Run’s athletic program. Bill Meadows and James Meadows accepted the award on behalf of the business.